For all our prospective med-school students (and others alike) who are currently enrolled in EPIB 507 here in McGill, you must have wondered about why you took a course such as biostatistics in the first place, and as you have already experienced, our biostats course — as opposed to courses in the regular semesters — has a span only one month, and covered an incredible amount of indigestible materials. In a few words, biostatistics, as far as we are concerned, pertains mostly to applied statistics within an epidemiological and biological framework. It differs from the usual statistics in its emphasis on concepts such as specificity, false positive and randomized clinical trials, and on metrics such as odd ratios, prevalence and relative risks. While we haven’t quite approached biostatistics from a mathematician’s standpoint, we did cover a plethora of ways on how it is applied in a medical research setting, which — as it turns out — could be useful to some of you who are newly involved with pharmaceuticals or otherwise interested in public health. Similar to the way statistics is taught in other faculties, descriptive biostatistics are concerned with describing the gist of the data, usually via clever visual data representations such as stacked bar graphs and two-way frequency tables. Here, concepts such as geometric mean and coefficient of variation can be easily found in other non-medical domains as well, and the materials are, in general, pretty straight forward and intelligible. While seemingly unrelated to the pursuit of statistical analysis, having some chop in basic probability paves the way for understanding more advanced applications in inferential statistics. It’s no surprise that virtually all stats courses offered in universities tend to ramble a bit on probability, with some courses covering more than others. In EPIB 507, our focus is on learning the basic laws used in counting and computation of probability (e.g., law of union, law of intersection, Bayes’ Theorem, law of total probability). Equipped with the basic notions, we then moved on to the concept of random variable, and its ancillaries metrics (e.g., expected value, standard deviation). We covered many examples of discrete distributions (e.g., binomial, geometric, hypergeometric and Poisson distributions), along with a few examples of continuous distributions (e.g., uniform and normal distributions), all of the while evading calculus altogether. Inferential biostatistics is mainly concerned with drawing practical conclusions/recommendations about the populations from the sample data, and this is where the water starts to get murky pretty quickly. The inferences can be generally categorized into 2 types: confidence interval and hypothesis testing. From there, a whole bunch of crazy formulas would pop up non-stop, and the procedures need to be followed and underlying assumptions respected. Parametric procedures are those with specific presuppositions about the nature and the inter-relationship of the populations, whereas non-parametric procedures are those that are to be used when the aforementioned presuppositions fail to hold. In any case, both procedures allow for 1-sample test for population mean (or median), and 2-sample test for differences in means (distributions) — whether the 2 samples are matched or unmatched. For example, here’s what Fisher’s Z-Transformation does to r! Of course, there are much, much more to this. 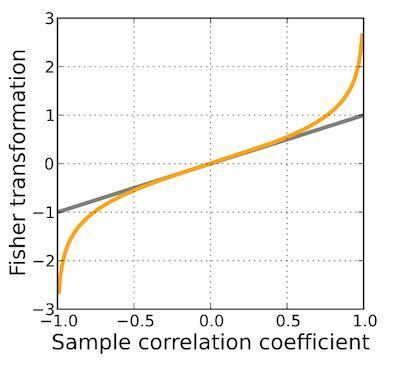 Confidence interval for the difference in population means, two-sample proportion test, Fisher’s z-transformation for correlation coefficient, Wilcoxon’s Signed-Rank Test, Chi-Square Contingency Test…You name it. And if you just throw in a bunch of Greek letters such as $\alpha, \beta, \rho$ and $\chi^2$, then you would have got it. While medicine emphasizes on stress management, the act of creating medical practitioners induce conditions which would require stress management. How's your higher math going? Shallow learning and mechanical practices rarely work in higher mathematics. Instead, use these 10 principles to optimize your learning and prevent years of wasted effort. Math Vault and its Redditbots enjoy advocating for mathematical experience through digital publishing and the uncanny use of technologies. 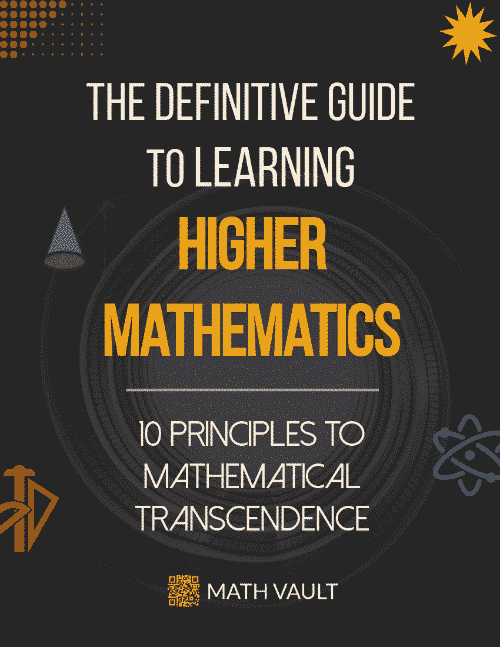 Check out their 10-principle learning manifesto so that you can be transformed into a fuller mathematical being too.